← Is the US uninvadable? Why Mars? What is Elon Musk’s Strategy? Hey guys. I actually went over this a few times with colleagues over the summer, and started writing this right before Elon Musk started his Mars PR campaign in September. Just missed the chance to appear prophetic. As it is this is still a fun topic. First we need to go back about 20 years. Hang with me a sec – I’ll keep it to the point. In the 20th century – there was basically 2 ways to get anything over a few hundred pounds into space. Very big rockets or the space shuttle. Rockets were a little less expensive than the space shuttle, and didn’t need astronauts, but didn’t carry as much weight. names – what was 7 aerospace companies became 2. Rockets were not the best business to be in. By 2006 Boeing and Lockheed combined the Atlas and Delta Programs into a single company called United Launch Alliance. And the whole time it cost you a few hundred million dollars for what amounted to a souped up 1950’s rocket sometimes using Russian made engines, to put something into space in the United States. There are some other rockets out there, but we are keeping this simple, and focusing on what NASA uses. So in 2001, Elon Musk, Tech entrepreneur with degrees and physics and economics was getting a payday from the companies he had built in the 90’s, namely PayPal, and was pretty well connected. If you are a well respected entrepreneur with access to investors, over a hundred million dollars of your own money, and happen to be educated as a physicist, you get to chase your dreams and dream big. Elon Musk speaks in terms of existential risk. That is, what is threatening the existence of the human race, and what can you do about it? Also keep in mind this was not long after all those disaster movies where asteroids hits the earth. So the big dream – colonize other planets, get people living somewhere other than earth so we have options. In 2001 all Musk was talking about was putting a robot greenhouse on Mars to see if we could grow stuff in Martian soil and also generate interest in space exploration. He talked around, looked at options, got laughed out of Russia, twice. Elon Musk ran into the problem we started with – the big rockets were all based on 1950’s cold war technology, were very expensive (a few hundred million $ per rocket), single use, disposable, hard to get access to even if you had the money, and required an army of people to build and launch. Frustrated, he did what any physicist, economist, technology entrepreneur does. He ran the numbers, did some calcs, and the more he looked at it, the more he figured he could drop the price by a factor of ten, and make good money launching rockets for $60 million a launch. Solution – Try Mars first, it’s cooler than going to the moon (been there, done that, not to mention the pop culture fascination with Mars). Problem – Getting to Mars just once is way too expensive – just the required heavy lift rocket is a few hundred million dollars. And you’ll need lots of rockets. accomplished through cutting edge software, automation, modular design, new technology, new materials and manufacturing techniques and reusing as much of the rockets as possible. 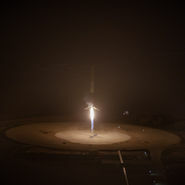 (Watch first ever rocket landing video 2:05 mark ). SpaceX will put a payload into space for $57 million. 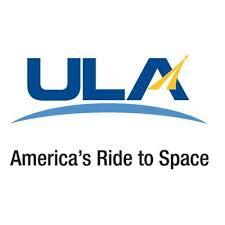 ULA’s price point is $200 Million after a cost savings campaign. Problem – You need to be good at the rocket business before you can compete with United Launch Alliance, NASA, and anybody else. Solution (2010)- Build a competitive rocket business first. Problem – You need to learn to crawl before you walk, let alone run. Solution (2006) – Start small with an prototype entry level rocket (Falcon 1), using $100M of your own money. Prove the basics before you scale up. And innovate as much as you can knowing what you need for that heavy lift rocket down the road. Problem – It takes allot of money to get into the rocket business. Solution (2002) – Find a wealthy and convincing tech entrepreneur to sell a dream. Elon Musk’s schwerpunkt always has been to get to Mars. The rest of the strategy was about making that happen. While SpaceX has been breaking records and doing things for the first time ever; NASA who is basically controlled by congress retired the old Shuttle Program, and had no rockets to call their own; and United Launch Alliance motivated by profit is downsizing, restructuring, and trying to figure out how to keep up. Because SpaceX started in 2002, was fully funded in 2006, only launched 5 basic Falcon 1 rockets from 2006 to 2009, and spent the last 7 years simply building and innovating a low cost reusable rocket business with commercial and government contracts, including NASA and Air Force contracts…. Everyone seems to forget the 15 years ago Elon musk went into the rocket business because he wanted to colonize Mars. 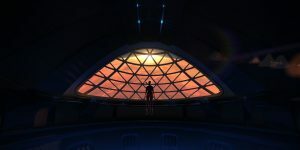 That is until he reminded us in a big way last month – probably because he’s to the point where he needs to start generating interest and fundraising to take it to the next logical progression of his multi decade campaign to put people on Mars. If you take a look at his speaking tour the last couple of weeks, that looks to be exactly what he is doing. Now anybody familiar with multibillion dollar engineering projects already knows it will take longer, be harder, and more expensive than what Elon Musk is advertising. As is evidenced by the explosion they had recently. Every Astrophysicist will tell you that nobody has figured out good solutions to Mars colony challenges… Problems like deadly radiation, electrostatic dust sticking to everything, long duration equipment, long term health effects of half earth gravity… There’s lots of science and engineering yet to be done. 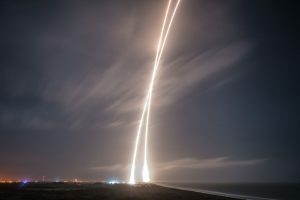 But the Wall Street Analysts will tell you that SpaceX is making a healthy profit, beating its competitors (United Launch Alliance, NASA, the Russians, really everyone), and it’s only a matter of time until SpaceX solves the technical problems, makes it affordable, and raises the money to do it. And if you want the strategic science lesson – it’s that a startup trying to put people on Mars is better at building and launching rockets than government run NASA and profit driven ULA. It’s why business schools teach that mission and vision statement stuff – because chasing dreams tends to yield better results, better structure, better culture than chasing votes or money. This entry was posted in Business Strategy, Space, Strategy, Uncategorized. Bookmark the permalink. As one working in Manned Space Flight here in Denver, it’s little known outside this domain that sending humans to Mars requires passing through an intensive radiation belt . This is the reason the Flight Avionics on the Mars missions are Rad-Hardened. The RAD 750 http://meseec.ce.rit.edu/551-projects/fall2013/2-2.pdf is the processor and memory – done here in Longmont – are needed to survive the passage. While the “strategy” is interesting, the implementing of the strategy will require inventing new physics (I too am a physicist by training and a program manager by practice). I enjoy your site and tweets. Glenn, thanks. Actually met you years back at an AACE meeting up at Ball. Hope you are doing well! The radiation is tough to fix. The electrostatic dust you get without an atmosphere to speak of. Is actually harder for engineers. How do you deal with abrasive glue that sticks to everything? Not to mention logistics. Mars lacks a good magnetic field – the radiation doesn’t get much better on the planet. It’s like putting a submarine inside a sand blaster inside a nuclear reactor, and asking people to live there for years, without help.